It's based on nothing but assumptions anyway. I do believe that Nebo M has been shown to accurately show a precise location of a target many, many KM away. And a missile launch hundreds of KM away. So I think it's more of a "oh we are great, they are not. Do not worry citizens"
I've read that "report". It says nothing wrong for a single s-400 operating with a single radar. Radar horizon, dead zones coverage, bad resolution of low frequency radars compare to engagement radars... which is true for any radar and system. But that raport could be made in like 1 hours by a child of 10 years just by going on radar page on wikipedia. However some ukrainian or nato generald probably paid 1 million for that which is not bad for the "research agency". I was reading up some reports on India planning to upgrade its Pechora SA-3 system and Russian-Belarus being a contender here for the upgrade. They are digitising the entire Pechora system that still exisit about 16 systems in total. Came across work done by DRDO in integrating Fly Catcher Ka band radar with SA-3 X band Radar , DRD0 came to the conclusion that X band radar of SA-3 was vulnerable to jamming and adding a Ka band adds more redudancy. Do they use these elevated radar with S-400 Radar ? I saw these with S-300 systems only. Any reason why they cant make large powerful long range K/Ka band AESA radar as burn through imaging capabilty against cruise missile or stealth aircraft ? 96L6 radar, part of S-400. Of course there is always radar mounted in aircraft... those images showing the mast mounted radar... the height they raise their antenna is insignificant to the curve of the earth... it would be more practical where you have trees or buildings and the mast raises them up above those things to get a much clearer view... most of the time small hills are more of a problem than the curvature of the earth. A-100s will help with problems regarding low flying threats, but also multiple radar sites around the place as well as optical and thermal sensors and indeed space based optical and thermal and radar sensors can also contribute. Needless to say detecting a target 400km away with an accuracy of + - 5km is not a big deal... because detection is not tracking... the radar system used to detect a threat will hand the target over to the tracking radar which will be vastly more precise and accurate and for a target 400km away an active homing missile will likely be launched so the actual distance to the target will likely be 20-30km when the radar in the missile turns on and it will be at a rather high altitude looking down on the threat so hills wont be a problem. Plus of course at 490km having Iskander missiles falling from the sky taking out major SAM sites and airfields and HQs and comm centres etc etc... Nah... Sweden... you have nothing to worry about... US F-35s and Israeli F-35s just choose not to operate near and operational S-400 system just because... and the US is prepared to withhold F-35s from Turkey if Turkey buy S-400s the US is prepared to not sell them 100 F-35 aircraft.... they are giving up sales of 100 F-35 aircraft because they are afraid that Turkey might find out the S-400 might be able to defeat the F-35. Now the Russians have not refused to sell turkey the S-400 system and have said nothing about being afraid the S-400 might not be able to detect, track, or shoot down F-35s... makes you wonder does it not? Both expensive programmes with a lot on the line... but only one piggy is squealing like a stuck pig. 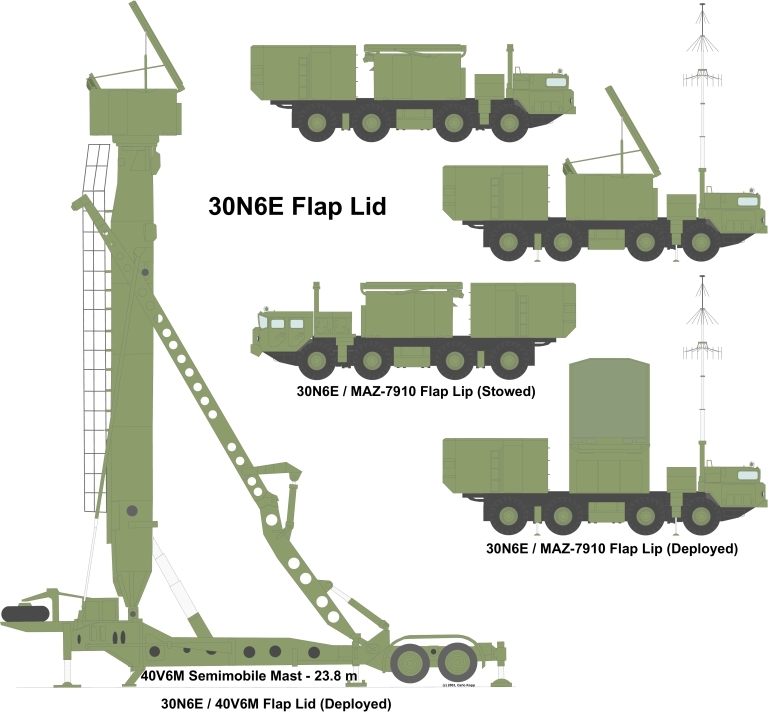 The most important job of this masts is to increase the range against low-flying targets, but it will also increase the range of the radar against medium and high flying targets by some 10 - 15%. Which is better then nothing. Poor Swedes. Can´t even build furniture. You have to do it yourself! 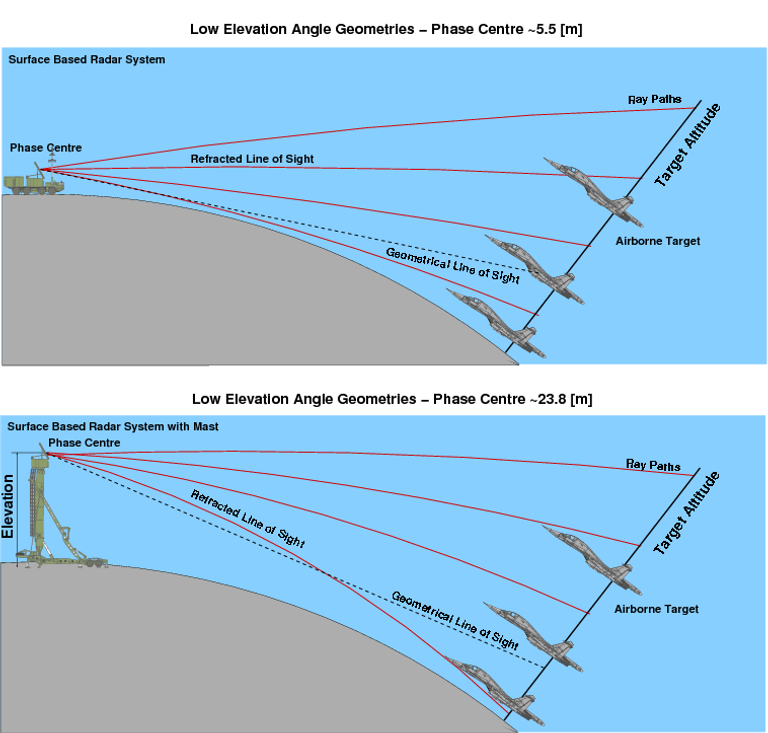 There is also another thing to consider, most of actual western PMG (Jdams, SDB, Jsow) are designed to be launched from an high quote and glide to the target. That is an important factor.... most weapons get optimum performance from medium to high altitude launches, and flying lower means greatly reducing the effective range of both the weapon and the aircraft carrying the weapon. GarryB wrote: That is an important factor.... most weapons get optimum performance from medium to high altitude launches, and flying lower means greatly reducing the effective range of both the weapon and the aircraft carrying the weapon. ....HE'S BACK?!?! ...WHERE HAVE YOU BEEN?!?! Hole wrote: The most important job of this masts is to increase the range against low-flying targets, but it will also increase the range of the radar against medium and high flying targets by some 10 - 15%. Which is better then nothing. The thing that struck me was the claim "cannot determine the exact coordinates of a target that is more than three kilometers away" had me at a loss for words! Which is not incorrect. There are fast moving objects around, the radar will deviate a bit. Let´s say 5 millimetres at a distance of 100km. Moscow. April 11th. INTERFAX - The Kremlin confirmed that Russia and Turkey are considering the possibility of establishing joint production of components for S-400 anti-aircraft missile systems in Turkish territory. “It’s not a matter of complex production of all S-400 units, it’s a new type of armament. But, of course, we can talk about the production of some components,” the press secretary of the Russian President Dmitry Peskov told reporters. When asked about the deployment of such production in Turkey, D.Peskov answered in the affirmative: "In Turkey". - Today there is a massive re-equipment of the army, including the air defense forces. The newest complexes “Pantsir” and S-400 need no introduction. And what other equipment comes in parts and connections of air defense, what is its peculiarity and superiority over the complexes of previous generations? “The Shell and the C-400 have already proven themselves well. But these are not the only advanced designs that air defense troops can be proud of. In the near future, the S-350 Vityaz anti-aircraft missile system is expected to arrive, the development of the S-500 air defense system and a number of promising radar stations are nearing completion. Each of the weapon models I have listed is unique in its own way and is designed to solve a wide range of tasks to ensure reliable aerospace defense of the country. Moreover, I want to note that all of them are created on a modern domestic element base with maximum automation of all processes and operations of combat work. They are distinguished by high combat effectiveness combined with ease of use and maintenance. Radar stations are constantly being improved. So, for example, the multi-range radar complex “Sky-M” is capable of detecting aerodynamic, ballistic and hypersonic targets at long distances and altitudes, determining their coordinates with high accuracy, and quickly changing positions. And low-altitude mobile radars, such as Podlyot and Kasta-2-2, can detect airplanes and cruise missiles, unmanned aerial vehicles flying from tens to hundreds of meters from the surface of the earth, under interference conditions. All modern stations are distinguished by high maneuverability and the ability to perform the task of conducting radar reconnaissance in unprepared positions. 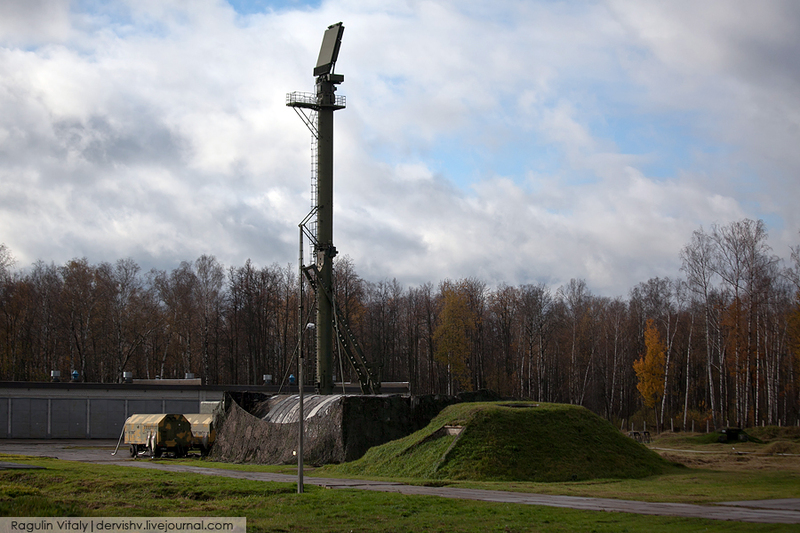 As for the share of modern anti-aircraft missile and radar weapons in the army, then today it exceeds 70 percent. In the current year, several more regiments will be reequipped on the S-400, the number of units equipped with the Pantsir-S air defense missile system, new models of radar technology and automation systems will increase. I would especially note at the same time that the share of modern types of weapons and military air defense equipment in the 1st Army Air Defense and Missile Defense (Special Purpose) covering the sky of Moscow and the Central Industrial Region is more than 90 percent. 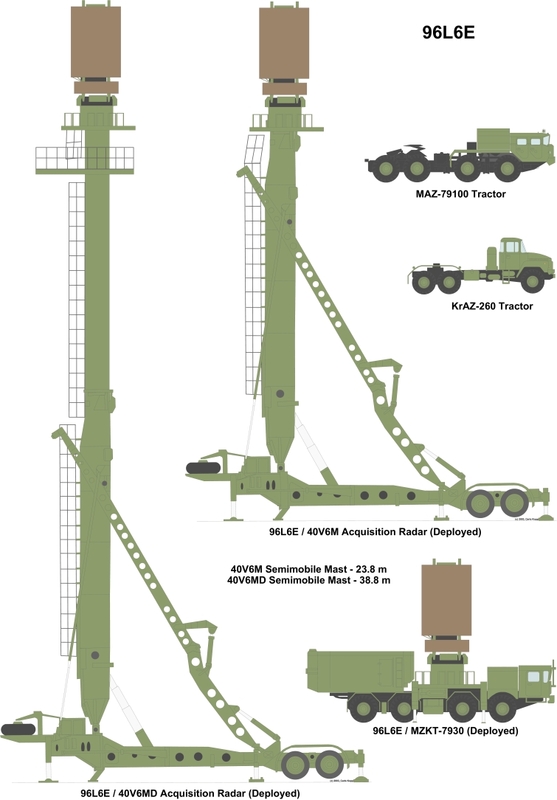 The S-500 anti-missile system (ZRS) will include a missile defense system that can shoot down attacking ground targets, medium-range ballistic missiles and even combat blocks of intercontinental missiles. This was reported to the correspondent of the program “Military Acceptance” by the commander of the 1st Army of Air Defense-PRO (Special Purpose) of the Russian Aerospace Forces Lieutenant General Andrei Demin. “The S-500 will have anti-missile defense systems. The system will be able to shoot down attacking ground targets, medium-range ballistic missiles and even combat blocks of intercontinental ballistic missiles, ”said Demin. The Northern Sea Route will be fully protected from the threat from the air until the end of 2020, several sources in the Ministry of Defense told Izvestia. To this end, the newly created 3rd Air Defense Division of the Northern Fleet will be strengthened in the Arctic. In the archipelagoes of the Arctic seas, additional radio engineering and anti-aircraft missile units will be deployed, which will arm the S-400 systems and the Pantsir-S systems. So Russia will secure control over the trade route, in which up to half of Eurasian goods can be transported in the future. Already in the mainland Arctic zone and on the coastal islands, infrastructure is being built for air defense units. Particular attention will be paid to their weapons. Anti-aircraft gunners of the Northern Fleet will receive long-range 40N6 missiles for the S-400 Triumph air defense system.